Fueled by the widening gap between computer-related employment opportunities and the number of individuals pursuing these opportunities, Nextech works to elevate technical, critical-thinking and problem-solving skills of K-12 students, inspiring and enabling young people from all backgrounds to pursue careers in technology. Create equitable access to computer science curriculum and experiences for all K-12 Indiana students. to thrive in a digital economy. Our core values center our culture and reveal the heart of Nextech. Our entire community—staff, board and valued partners—look to these core values to guide their decisions and inspire our work to transform the next generation of tech pioneers. We align our programs with education and workforce-development challenges identified by our partners. We employ best-practices and a consistent, measurable and systematic approach to help us realize our vision. We work alongside organizations to complement existing resources and co-create a vision for the future. We create a culture to ensure people who engage with us are enabled and energized to pursue their passions. 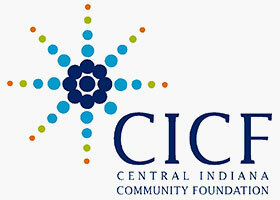 Nextech is a supporting organization of the Central Indiana Community Foundation (CICF), a $700 million charitable public foundation. The relationship enables Nextech to provide additional technology-related resources to schools, students and communities while supporting CICF initiatives to improve educational attainment and self-sufficiency.